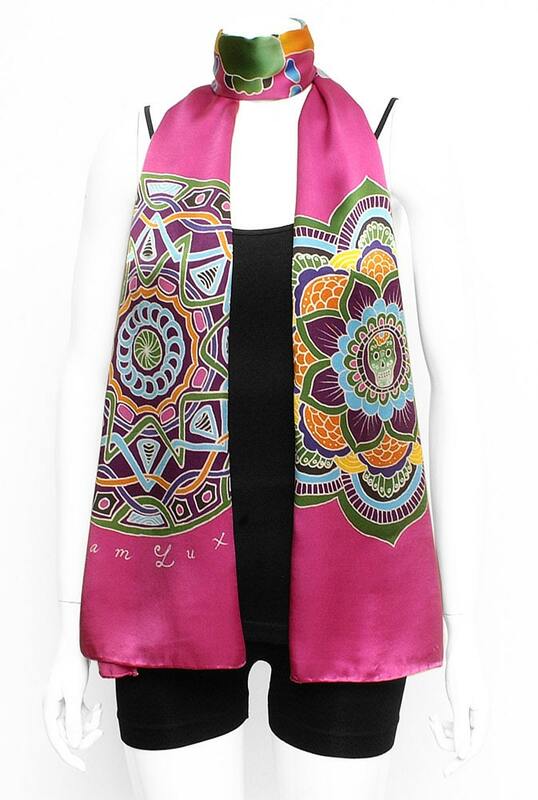 This Beautiful and colorful long handmade and hand painted silk scarf with two beautiful and colorful mandalas on each side with the Egyptian winged scarab in the center and a brownish background is a one of a kind wearable work of art. Perfect as a wall hanging too. 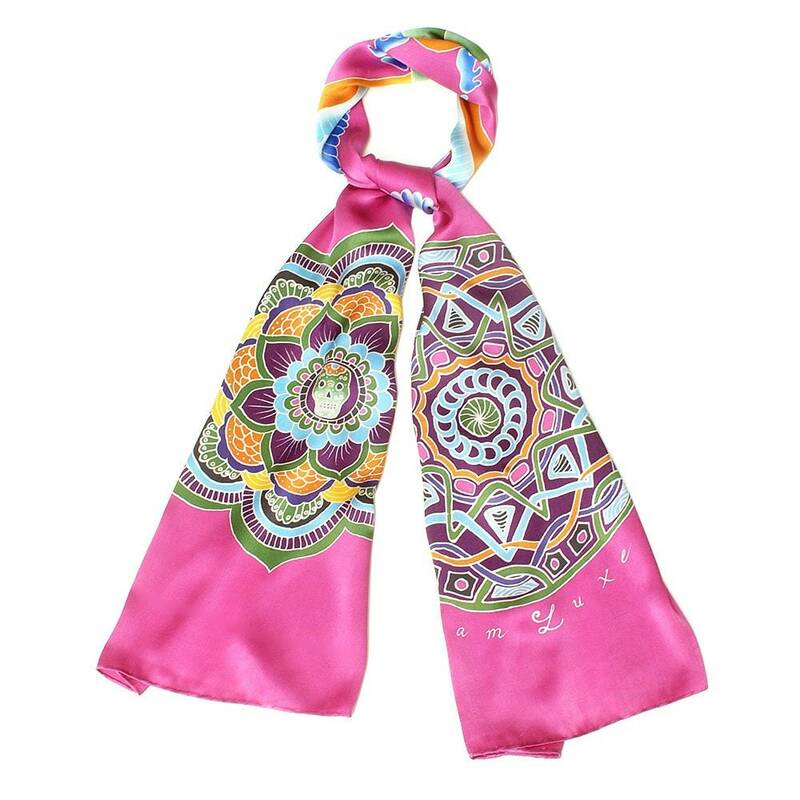 The silk scarf is a stylish luxury accessory and never goes out of style. It can be an original gift for woman, anniversary gift, birthday, wedding or other special occasions. 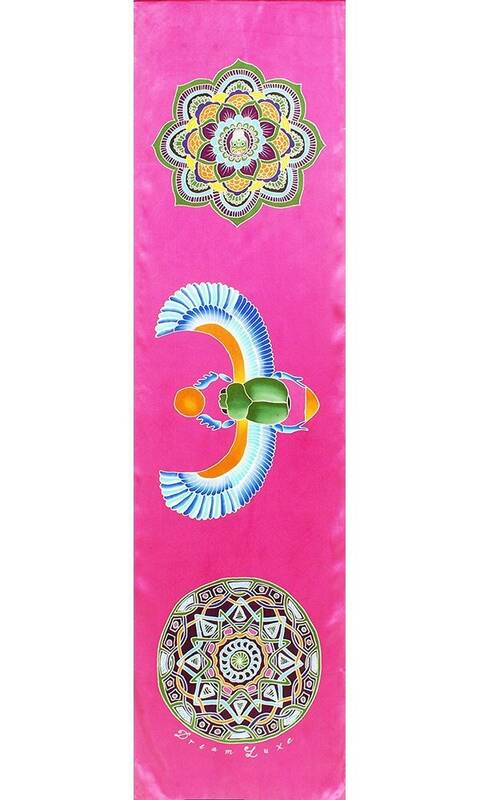 The silk scarf wrapped for a gift. 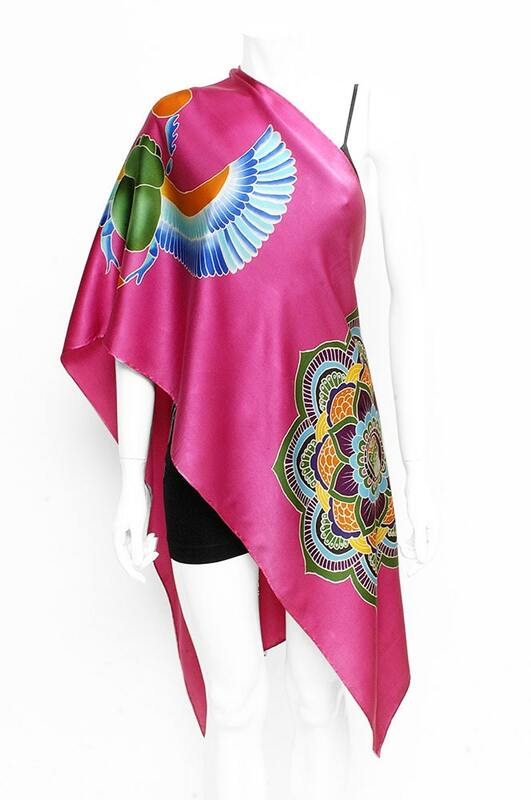 This vivid, softly draping scarf is an excellent accessory for women's dresses, office outfits, and casual wear. 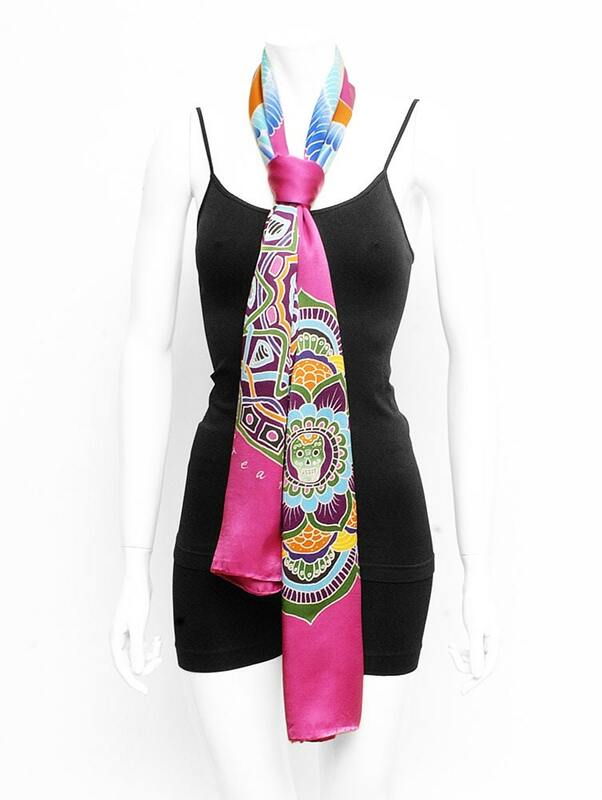 This scarf is a special, one of a kind gift for you and your loved ones.